This Saturday ABC Gardening Australia will feature a special on the health benefits of plants for Mental Health Week 4-11 October. 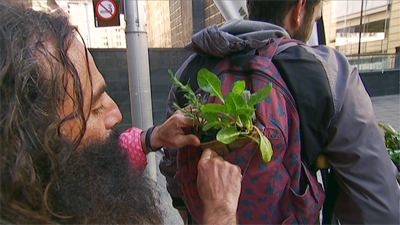 The episode will feature host Costa Georgiadis and Matthew Carroll (NGIA) handing out plants in Martin Place whilst engaging the public on the health benefits of a good plant/life balance. This will provide great national coverage for the campaign. The episode is going to air on Saturday 10 October at 6.30pm.